I can’t believe I am writing this post, but kids are insistent. “You have to do a post on this!” They cried. Now, when I made the Chocolate Chip Cookies Noir, they forbid me from putting the recipe on the blog. They didn’t want the “secret” recipe to get out. But for this, they thought everyone should share in the fun. I’m having trouble because I’m not sure this is “blog worthy”, but I’ll give it a go. Let me start by saying the reason I made this dish is that I announced we were having pork loin for dinner. You may have heard the crying and whining where you are. Let’s just say pork loin doesn’t pique the kids’ fancy. Any chance they can get, they’ll try to make a play for “breakfast for dinner”. If they sense any weakness in the resolve of the person making dinner, the begging will commence. Seriously, it is their favorite meal. You may notice a lot of breakfast dishes on this blog. We mostly have them for dinner. Tonight is no exception. Since Daddy was away, they made a play for Goofy Toast. The idea of pork loin wasn’t too hot with mom either, so they won that round. 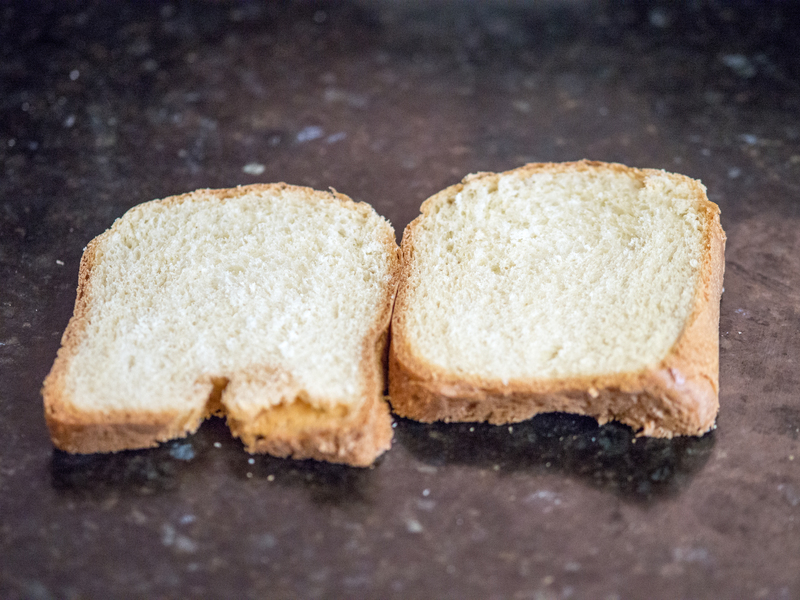 The history of Goofy Toast begins at Disney World. We have taken many a vacation to Disney World. Back during the depths of the Depression Recession, Disney was deeply discounted. So discounted, we could afford to stay at the Polynesian Resort. Man, does that spoil you. We went one year and got 30% off the hotel, free food AND a $250 Visa Gift Card. Now, you may get 30% off the hotel rate, but that’s about it. The exact same vacation is nearly twice as much money as it was 3-4 years ago. I guess the economy has recovered? Luckily, we have pictures to relive the experience. Anyway, at one of the many breakfasts we ate at the Polynesian during our stay was something called “Goofy Toast”. The kids loved the name and ordered it. In the old days we would have called it “Eggs in a Nest” or something like that. Now, Goofy Toast. I’m sure that’s trademarked or something. My kids fawned all over this dish. I looked at it and it appeared to be grilled bread with an egg in the middle. No big. I was perplexed as my children were not big egg eaters. Nor were they particularly fond of toast, unless it was slathered with peanut butter and dotted with chocolate chips. But the Goofy Toast had cast its spell. 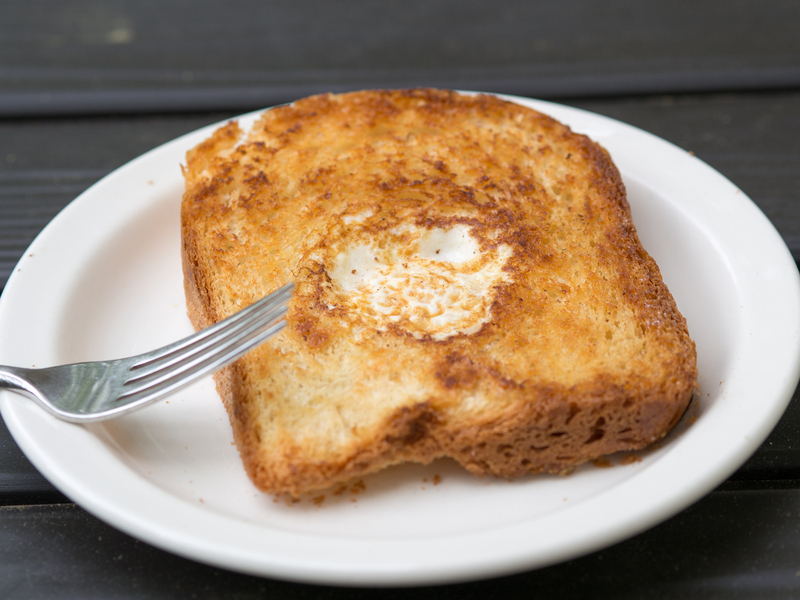 Moving the egg from the side of the plate to the middle of the toast transformed both moderately despised food items into an edible creation. I guess those Disney people really know their target audience. So, when we got home I asked if they wanted Goofy Toast. I got the eye roll. No, really, I can make it, I replied. So, I made it and they were amazed that I could recapture the magic of the Goofy Toast. Truly amazed. Like I had turned lead into gold amazed. Ok….. So, if you would like to try something ever so slightly different for breakfast, here you go. Apparently, this is crazy kid friendly! I will say, it is an elegant presentation of what is otherwise humdrum eggs and toast. So, there is that. Melt butter in a nonstick pan over medium heat. 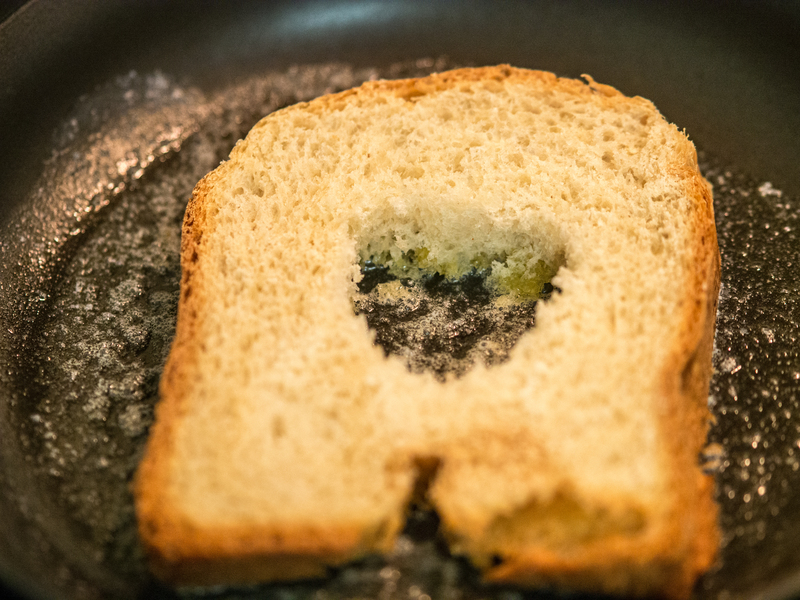 While the butter is melting, cut a hole in the middle of the bread. 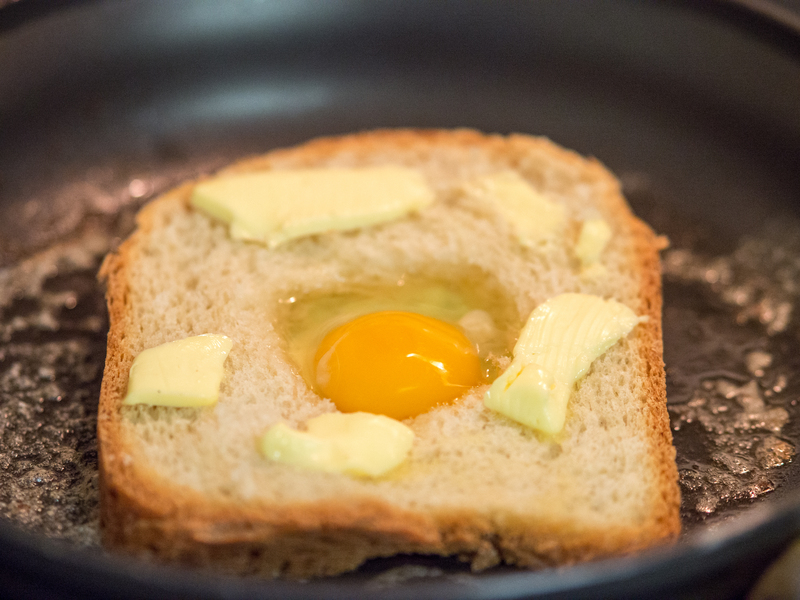 Crack egg into the hole in the bread. Season with salt and pepper. Dot bread with butter. 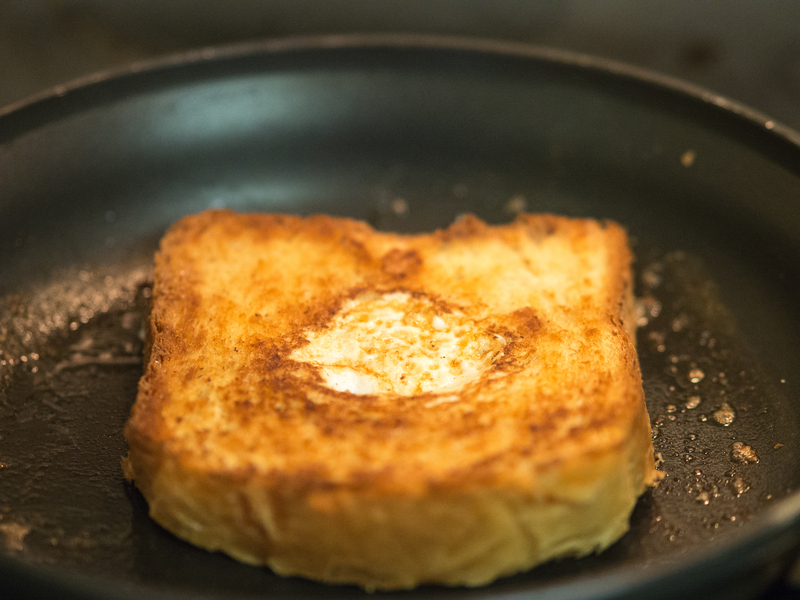 When egg has set on the bottom (2-3 minutes), carefully turn over in pan. Cook until desired doneness. Seriously, that’s it. As a variation, my daughter only likes scrambled eggs, so I scramble the egg before putting it into the opening in the bread. This entry was posted in Breakfast, Breakfast/Brunch and tagged Bread, Breakfast, egg, Eggs in a nest, Goofy Toast, Polynesian Resort, Walt Disney World on May 10, 2013 by dawn of food.